For those who fear we might live in the End Times, I have some really terrible news. 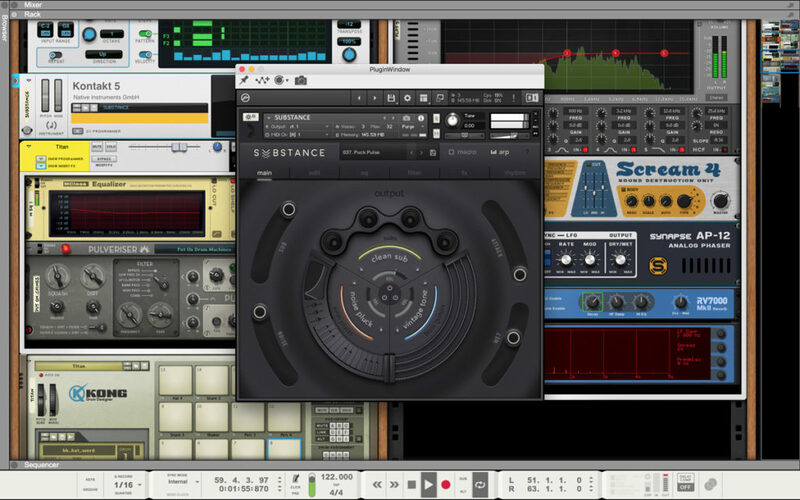 Propellerhead is adding VST plug-in support to Reason. Yep, that’s Propellerhead who for years had sworn they’d never add plug-ins because of concerns about stability, compatibility, and even simple features like undo implementation – and because conventional plug-ins don’t integrate the way that native devices in Reason’s trademark rack do. So what happened? Well, first, Propellerhead found they had something of a hit in their own Rack Extension format and accompanying store. Based on conversations I’ve had with developers, the business opportunity there isn’t quite what you get from the plug-in or mobile app markets in general, but the format is reasonably easy to develop for and the sales have been nothing to sneeze at. 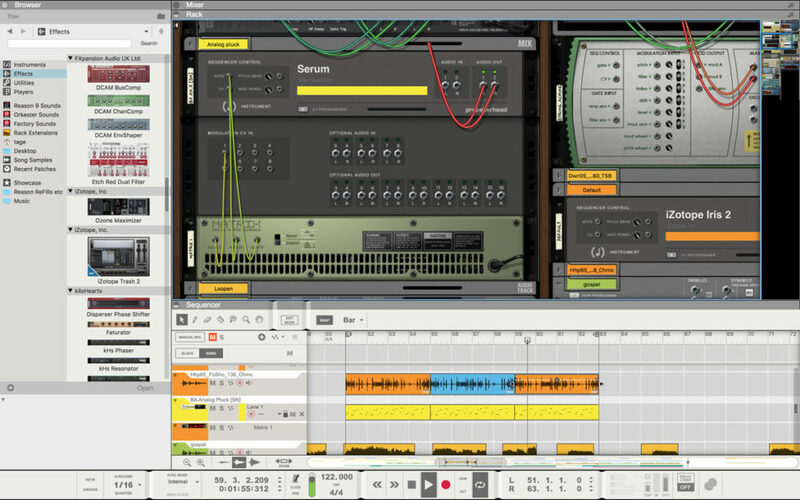 And this got Reason users – and Propellerhead – into the idea that Reason was something users could extend. The patching thing I believe is really cool – maybe cool enough to give Propellerhead a break for the many sound arguments they made over the years about the problems with plug-ins. Environments that have opened up that kind of open patching paradigm – like Sensomusic Usine – have proven really useful. So it makes loads of sense in Reason. Frankly, the only thing that’s a bit disappointing here is that Reason supports VST 2.4 but not the newer VST 3.0. In any other environment, that wouldn’t be much of a demerit, but it’s a bit odd given that they’ve just done ground-up plug-in support. Could this slow the development of Rack Extensions? Well, I think on some level the calculation doesn’t change at all from a business perspective. If it made sense to develop for the Reason user base separately before, it still makes sense now. If it didn’t, it still … doesn’t, only now at least those users can access your plug-ins. But if you’re surprised when people make a big deal about this, well, the thing is — when you’ve not done something for a long time, it becomes news when you finally do. Apologies to all the other DAWs who have always had plug-in support. Actually, speaking of prophecies of the end times, the Bible has a bit about this whole thing. Apologies to Christians here for slightly mangling the King James Bible, but … there’s a teachable lesson, I’m sure. And he answering said to his father, “Lo, these many years do I serve thine VST SDKs and provide thee with mine plug-in support, neither transgressed I at any time thy commandment but for the occasional bug okay or perhaps an errant system crash but yet did I continue with thou plug-ins comport: and yet thou never gavest me a YouTube video with dramatic piano music as a kid, that I might make merry with my friends and increase mine subscriber count. But as soon as this thy son was come, which hath devoured thy living with his proprietary ecosystem and those ridiculous patch cables and lived the good live up in Stockholm with the eating of Swedish treats and herring and whatever those cinnamon roll things are called, thou hast killed for him the fatted calf. And he said unto him, Son, thou art ever with me, and all that I have is thine. And thou still make let’s be honest the industry-leading DAW by market share. It was meet that we should make merry, and be glad: for this thy brother was dead, and is alive again; and was lost, and is found. And also, I really want to run Serum, and make God’s children’s dance to my new EDM track, even thou mine enemies think it’s the devil’s work. I’m really, really sorry. You should probably go read Luke 15:11-15:32 now. But yes, the parable still kind of holds. And Serum in Reason. Enjoy.